The O’Show is still a maniac on a bike, but this time around he’s the motor. It is easy to look back on the legends of motocross racing and be in awe of their skill, tenacity, and speed on the track. But what’s going on off the track is just as impressive. Today, with nutritionists, riding coaches, trainers, mentors, man friends, team managers, and other posse members, a modern professional motocross racer not only has a large support group, but they also benefit from the decades of trial and error that happened before they even hopped on a PW50. But that wasn’t always the case. Just like when a racer does something on the track that has never been done and it changes the sport (the Bubba Scrub comes to mind), a young racer named Johnny O’Mara did something off the track that has forever impacted motocross racing. Not that they guys before him didn’t run, cycle, or hit the gym, it's just that Johnny just took it to a whole other level. He admits that for him, it was very simple - he just had to do more than his competitors. And he did. We aren’t here to provide a history lesson, though, and we want to talk about Johnny today, his “training program” and how you, the modern motocross rider, can actually enjoy getting in shape to ride your dirt bike better. 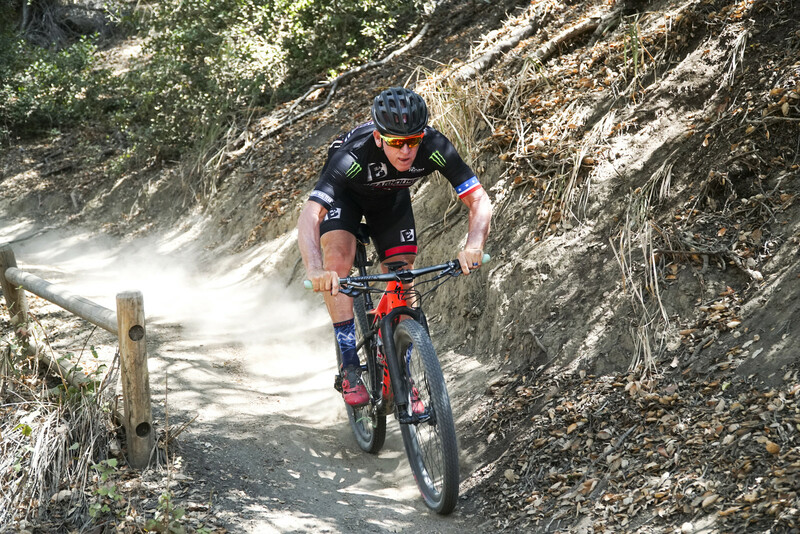 We all know what he’s done on a motorcycle, but after his motocross career was over, Johnny jumped straight into cross-country mountain bike racing. Even before he fell in love with MTB, he was an avid runner and says that he'd still be running today if it weren’t for knee injuries. Eventually, Johnny transitioned from focusing solely on his own racing career to taking notice of a young kid named Ricky Carmichael. Working with long-time sponsor Oakley, O’Mara realized he had a lot to offer this very talented young racer. His time with Ricky is pretty well known, and Johnny attributes his work with Ricky as the beginning of the second wave of the popularity of training. The racers at the time who were racing against the G.O.A.T. knew that they had to train just as hard, if not harder, to beat him. With the undeniable success of RC, Johnny’s status as a trainer was unquestioned. He was soon asked, by Ricky himself, to work with Ryan Dungey early in his career. Following that, Johnny has worked with James Stewart, Jeremy Martin, Thomas Covington, and currently Joey Savatgy (he’s always only been with one MX rider at a time). With each racer he’s worked with he's has had a slightly different role, sometimes more of just a mentor, someone to lean on, where with other guys he has played a more daily training role. Right now with Joey, he has a program with specific workouts, rides, and an overall plan for his success. Obviously, Johnny O' can't give away all his training secrets. We asked him to give us at least some specifics on what a typical "work day" looks like for Savatgy but he sort of skirted around the question. For one, everyday is probably different depending on schedules, bike testing, and where Joey is located. For two, a major factor of Johnny's program seems to just be consistency and cutting out distractions including people. If you follow any professional motocross rider or trainer on social media, you’ve undoubtedly seen some pretty elaborate and eyebrow-raising training regimens and techniques. And for some riders, a combination of balancing on a ball, juggling with one hand, and curling a dumbell with the other is the winning mix of training and coordination. But for those that don’t want to spend time in the gym, Johnny is all about riding. Johnny also said that he still does pushups, sit-ups, and pretty much all body weight stuff, he just avoids weights. And the only reason for that is that he personally had really bad arm pump issues when he was using weights to train while he was racing. He also says that every rider is different and if you don’t have the same issues, do what works for you. Plus, isolating certain problem areas with gym work is a smart idea; Johnny said that Carmichael had shoulder issues that they worked on in the gym. Mountain biking is a also more efficient way to use your time. In SoCal where Johnny lives and trains with his racers, it’s either up or down and an hour of riding can blow you out, where two hours of road cycling might not even be that hard, therefore not create the most gains. He talks about doing hill repeats if you are particularly masochistic - pick a hill that you barely make it up, and do it again, and again, and again. This sentiment isn’t as mean as it sounds. What Johnny is saying is don’t get frustrated at the beginning. 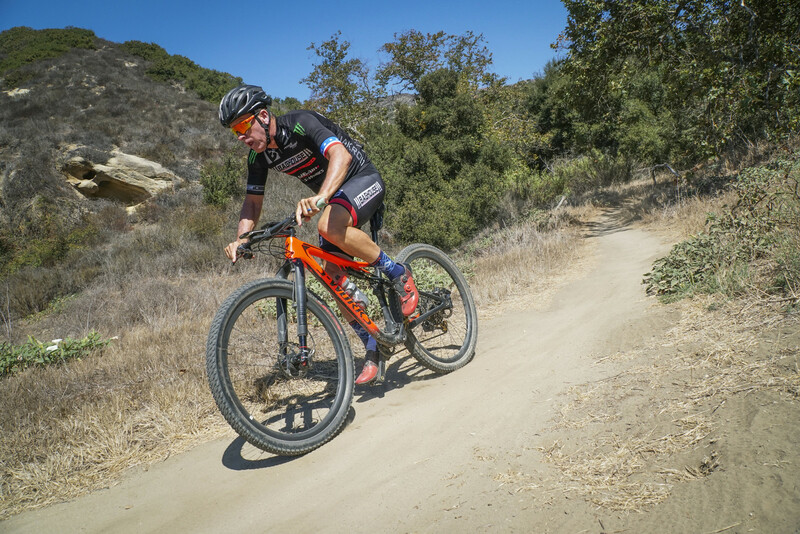 If you chose to make mountain biking your primary training activity, like some of O’Mara's trainees have, it isn’t going to necessarily come naturally. There is going to be a learning curve and also a fitness curve if you previously hadn’t been training. “Hey, it's hard, but you just have to break through that. Just like when someone starts running or starts riding a motorcycle for the first time. They think, 'I’m just so beat up,' but you get past that. After a couple months of riding on a regular basis, doesn’t need to be every day, it gets better. It's cool to see the benefit and you get rewarded by climbing that hill that you couldn’t when you started." This also shows Johnny’s overall mindset when it comes to achieving goals. While talking with him about how he sort of pioneered the level of training that he did, he had a nonchalant attitude about it, saying it was brutal but simple. He just needed to work harder than the other guys. We could see that just being around Johnny would be a huge benefit to the racers he trains because he has a no-excuses kind of attitude that is still positive and not overpowering or demeaning. With an Apple or Garmin watch, most people now have access to their heart rate, yet just seeing that number doesn’t do much if you don’t know what those numbers mean. At O’Mara’s peak he could easily go over 200 beats per minute at maximum effort. But that isn’t something that's sustainable. Threshold is the highest, most efficient heart rate that is sustainable that, ideally, is about 10 beats per minute lower than your maximum heart rate. If you don’t know what your maximum is then all this goes out the window. The standard, old school formula to estimate your max heart rate is 220 minus your age. Newer formulas that claim to be more accurate include 217 - (0.85 X your age) and 208 - (0.7 X your age). One way to get your max heart rate yourself using your own heart rate monitor on a bicycle is to warm up for 10 to 15 minutes, then ride at 90-95 percent effort for 10 minutes, then 100 percent for a minute, then all out sprint for 20 - 30 seconds. Or a running version is to run as hard as you can for three minutes, rest for three minutes, then run as hard as you can for three minutes again and take the reading from the second effort. To take all the work out of your hands you can also have a doctor perform a stress test, which is essentially the same as doing it yourself, except that the doctor will be using an inclining treadmill and his/her monitor might be more accurate than a personal wrist monitor. Same with VO2 max. Basically, this is the maximum amount of oxygen your body can use during exercise. This is another measurement that anyone can go do and keep track of as they train and get better. “If your threshold is 190, you can’t go over that without blowing apart halfway through a moto. People complain about arm pump, it’s because there is no more oxygen in your body. It’s just deprived. It can’t feed everything with the red blood cells. If you don’t work on that stuff, you’ll never get the most out of your athlete. If you don’t know the numbers, you’re just winging it. Sure a mountain bike costs money. But gym memberships cost money. Exercise equipment at your house costs money. Personal trainers and crossfit classes cost money. An online training program costs money. If it's all the same money-wise, riding a mountain bike is both beneficial to your moto riding, fitness and mental health - this all seems better than the gym. It helps your brain because it gets you outside and more and more studies show that being in nature is mentally and physically beneficial. You probably already know that since you are a moto or off-road rider. But also, Johnny says that his mountain bike riding has helped his motocross skills as well. Picking good lines, being smooth through corners, missing the bumps, staying loose and flowing with the terrain… All of these things that you do on a mountain bike directly transfer to riding a dirt bike. Johnny O'Mara is a badass. 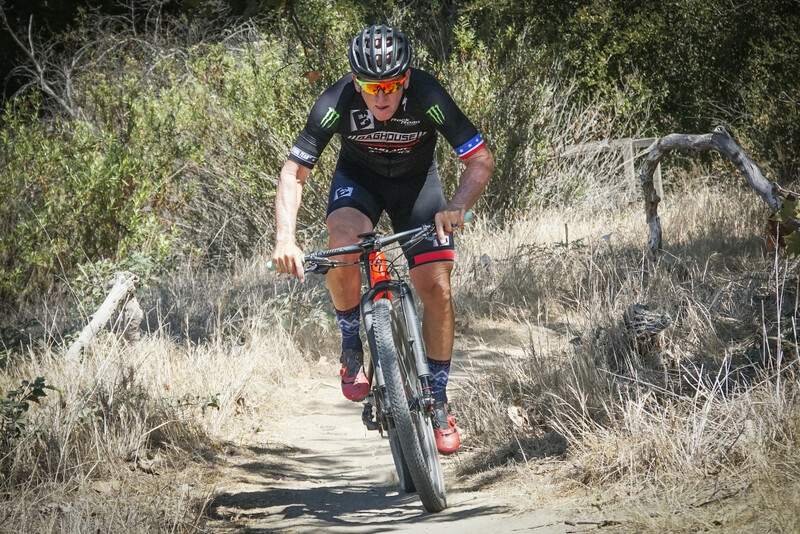 At 57, he is still destroying mountain bike races and he says the only racer who has truly challenged him on a mountain bike was Jeremy Martin. Yet one of the coolest things about O'Mara, is that with training, he isn't saying that you need a ton of skill (unlike racing a motocross bike). It's more about mental tenacity, being consistent and accountable for your own level of fitness. The overall vibe we got from talking with O'Show was first, inspiration; and second, that anyone with a little time each day can be a beast in their own right. If you want to know more about Johnny’s mountain bike team check out the Baghouse Facebook Page and if you want to know more about mountain bikes in general, check out our sister site Vital MTB. Not originally planned as an interview, this is a little shaky and the audio isn't great, but Johnny's info was too interesting to not share. Ahhh, Southern California. Year-round mountain biking and sweet trails! Great interview! Awesome to see he is active and fit, and helping today’s riders.